is the newest bolt-on LED blinker from motogadget. 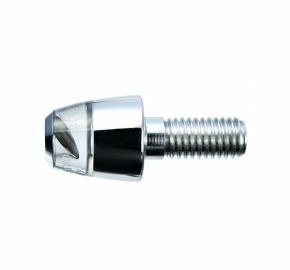 With a size of just 16mm (5/8˝ ) in diameter and 19.5mm (3/4˝ ) in length it sets new standards for all bolt-on blinkers. The tiny dimensions and compact design might get it almost overlooked on the vehicle. However, once the m.Blaze Pin is activated the IntensiLED® Technology lets it shine extremely bright and highly recognizable. The motogadget TranzLight-Technology® (TLT, patent pending) ensures visibility and safety with a wide angle of reflection. 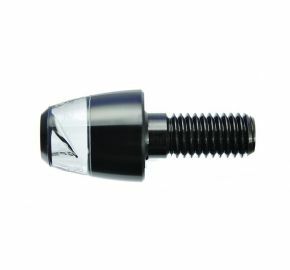 The aluminum housing is CNC machined and available in black anodized or polished finish. The m.Blaze Pin can be used as a front and rear blinker.